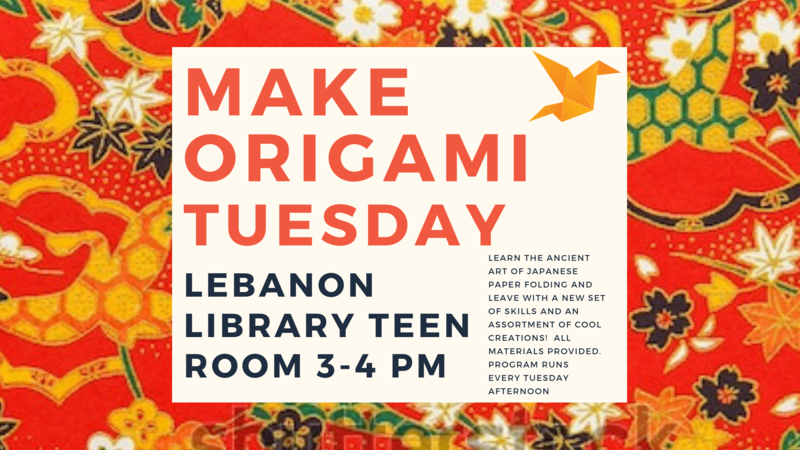 Learn the ancient art of Japanese paper folding and leave with a new set of skills and an assortment of cool creations! All materials provided. Program runs every Monday in the Lebanon Library that the library is open until summer break.